Elon Musk’s neural lace project could turn us all into cyborgs, and he says that it’s only four or five years away. 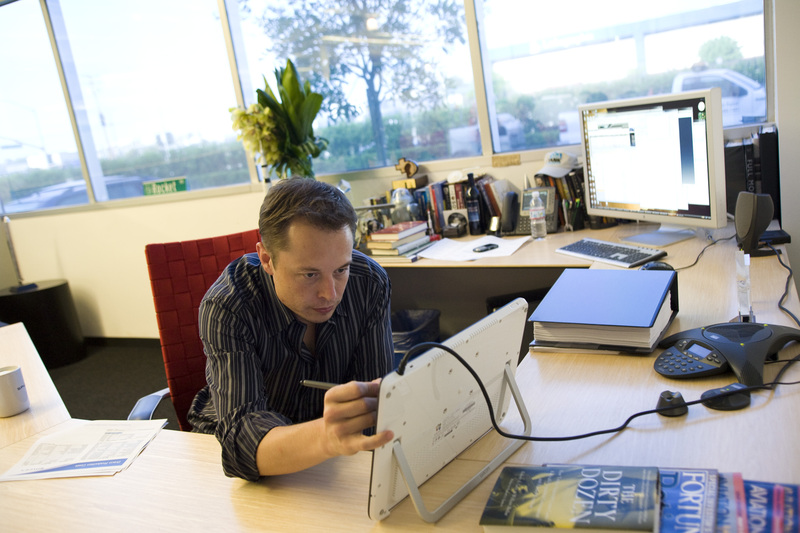 The billionaire CEO of SpaceX and Tesla has long been an outspoken critic of unrestricted artificial intelligence, and has been quietly researching the concept of “neural lace,” a merger of machine learning and human intelligence that could revolutionize our species. In a profile published Monday in Vanity Fair, Musk said he thinks a “meaningful partial brain interface” could be here in less than half a decade. Musk, in general, is kind of terrified of artificial intelligence, saying that he thinks the A.I. takeover is inevitable. The key to survival, he says, is to find a way to create some sort of symbiosis with computers that can enhance human intelligence to compete with the machines. “Your phone and your computer are extensions of you, but the interface is through finger movements or speech, which are very slow,” Musk told Maureen Dowd at Vanity Fair. The concept, which he calls “neural lace” would take the form of a subtle brain implant that lets the user directly harness computing power with their brain, cutting out the middleman of a touch or speech-based interface. “For a meaningful partial-brain interface, I think we’re roughly four or five years away,” Musk said. To create it, Musk has said that he thinks we will probably have to inject a computer interface into the jugular where it will travel into the brain and unfold into a mesh of electric connections that connect directly to the neurons. This means that anything you can do with a computer you would be able to do significantly faster just by thinking about it. Instead of measuring how fast you can type a text message with your thumbs you could just think that funny GIF to your friend. You could Google trivia answers instantly, do impressive math calculation in seconds, or order food just by thinking about it. This extra speed of connection to computing is key, says Musk. Neural lace makes people an integral part of machines, and could save us from a revolution. And while that may sound terrifying, Ray Kurzweil, a leading futurist and a director of engineering at Google said at SXSW last month that by connecting our brains to the cloud people will be better at being human. By allowing the computer to do things like storing information and mental math, our brains will be able to focus on things like art and music. Musk’s prediction of four or five years before we can inject a computer into your brain is pretty close, but he does keep saying progress on neural lace is only months away.